Despite major inroads over the years, access to capital remains one of the greatest barriers for women trying to launch, scale and grow their businesses, which means opportunities for all of us to continue to speak up, reach out, educate and innovate to make a difference. 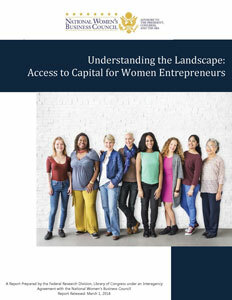 Earlier this spring, the National Women’s Business Council (NWBC) released a report called Understanding the Landscape: Access to Capital for Women Entrepreneurs. The first of four reports released from the NWBC’s inter-agency agreement with the Federal Research Division of the Library of Congress looks at literature published between 2010 and 2017 to better understand literature on women’s entrepreneurship and capital. It also identifies future areas of research and gaps in literature for interested researchers. A key difference between men and women regarding bootstrapping—financing a business without external capital—is that women choose bootstrapping instead of overdrafts and men choose it to supplement overdrafts. There’s good news, however, in one growing area of capital: crowdfunding. 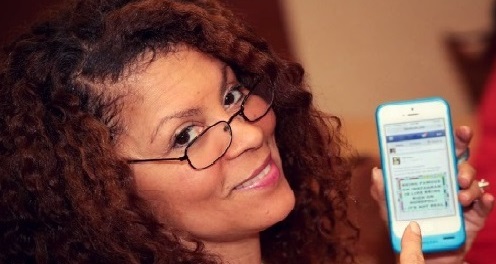 Although more men use seed crowdfunding, research shows women are more successful in this arena, most likely because they traditionally have larger and closer social networks they can tap into for a campaign. Lastly, it’s hard to believe, but my year as your NAWBO National Chair is quickly coming to a close and I am preparing to step into my next role of Past Chair. I’m incredibly proud of the work we have accomplished together this year, from increasing our commitment to advancing women’s entrepreneurship around the globe to growing programs and resources for our NAWBO members. Thank you—to my fellow board members and our staff, members and partners—for the amazing opportunity, and for your support and inspiration!